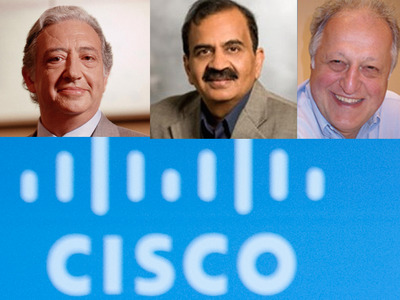 Business InsiderCisco’s legendary engineering triumvirate ‘MarioPremLuca’. That’s Mario Mazzola, Prem Jain, and Luca Cafiero. It’s 8 a.m. and 200 people have gathered in a Cisco conference room. It’s the team of engineers working on Cisco’s flagship network product. Two of Cisco’s legendary engineers, Luca Cafiero and Soni Jiandani, sit at the table. He’s at the head of the table, she’s at his side. A diet cola rests at his elbow. He will call on and grill various people in the room about the progress of their projects, sometimes asking involved technical details. He’ll call on someone junior, then someone senior as his interest takes him. The meeting could last all day. Like these day-long meetings, Cafiero was known as demanding and meticulous. 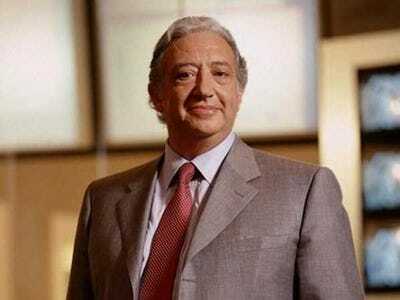 Not everybody at Cisco liked him, but he was respected, even feared. Jiandani, who handled product marketing, was known as an extremely capable manager, good at execution, but a political player and demanding to the point of being harsh. Earlier this month, in a move that industry insiders saw as a deliberate slap in the face to their CEO Chuck Robbins, Cafiero and Jiandani quit the company loudly and publicly. 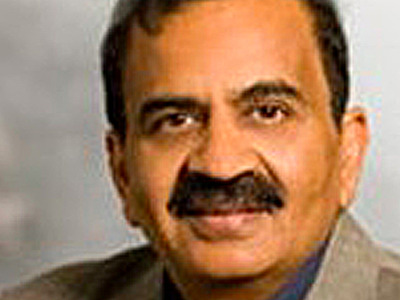 They were joined by two of Cisco’s other legendary engineers, Mario Mazzola and Prem Jain, who quit at the same time. Mazzola was considered a tough negotiator who took care of his own people and didn’t shy from corporate politics, while Jain was considered a great engineer and a nice man. The four of them were a team known as MPLS, (a joke on their first names; MPLS is also a tech Cisco invented). They had been with the company for 20 years. They were some of the most powerful people within Cisco — so powerful that they were still reporting to former CEO John Chambers after he resigned and became executive chairman. Their departure is a major event for Cisco and the tech industry segment, networking, that Cisco has ruled for more than 20 years. The usual face-saving method of leaving had already been announced a few days earlier: Cisco said that the team was moving into advisory roles (something they have done a few times in their past), and the idea was that they would quietly fade away. Robbins knew what he was doing, and deliberately ended their internal power. That made them want to quit publicly like this, one person told us. Their parting was not publicly acrimonious. It couldn’t be. 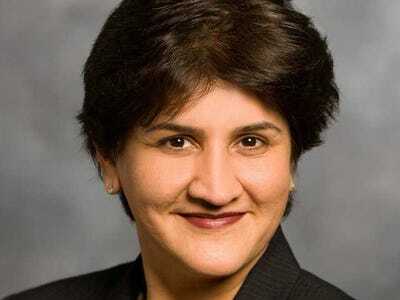 Their current team, known as Insieme, includes over 1,000 people who are building Cisco’s flagship product and are loyal to these rock star engineers. 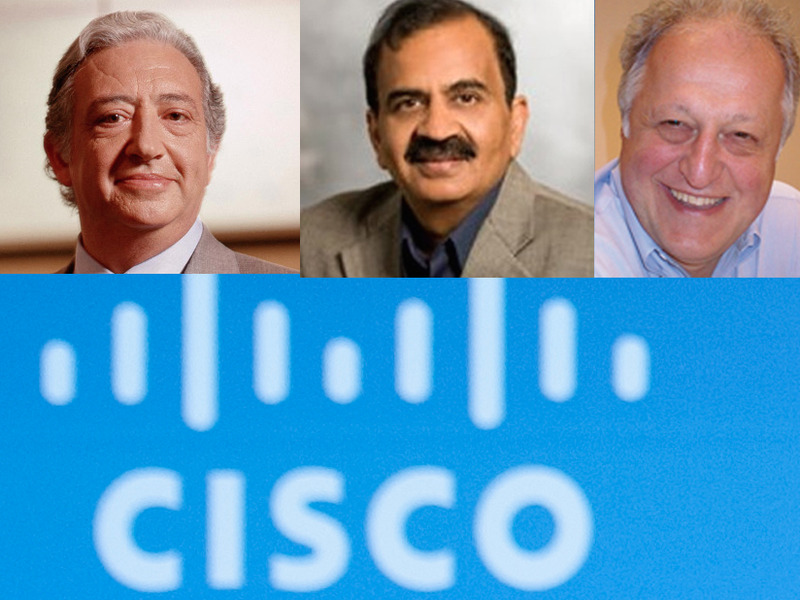 I want to recognise Mario, Prem, Luca, and Soni for the countless contributions they have made to Cisco. I have personally learned so much from them, and they will always be an important part of Cisco’s engineering story. Their legacy will live on through our ongoing innovation and the talented engineering leaders they have mentored. I wish them the best. The MPLS team were known as “heart, soul, brains and mouth” of Cisco, one person previously told us. They were responsible for nearly every one of the company’s most successful products over the past 20 years through an unusual system called “spin-ins,” where Cisco paid for their startup and then bought it back for a sizeable sum when the product was completed. 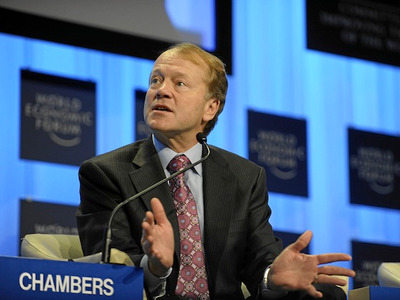 Former CEO John Chambers funneled over $2 billion to them over the years, mainly through these spin ins. Their success was so important to Chambers that he was their fierce champion. When doing a spin-in “they could just call John [Chambers] up and say, ‘John, we need more money.’ And they would get it,'” one former employee told us. That didn’t happen for managers of other products in other departments. One person familiar with the spin-ins told us that each of these top engineers pocketed up to $40 million for each spin-in Cisco bought. They would equally share their equity with the first six to eight people who joined their spin-ins, making it easy for them to pull some of the brightest engineers from Cisco into their latest ventures. Employees who joined later would also get a stake, but a smaller one, like as in most startups. These spin-ins caused resentment among some rank and file Cisco employees who didn’t get the chance to earn millions in bonuses if they built a successful product. People also told us that MPLS sometimes used their influence with Chambers to criticise and derail other projects at Cisco if they they felt these projects competed with their own interests. For that reason, many Cisco employees outside of Insieme were glad to see them go, we were told. The current product the MPLS team worked on was Cisco’s most important network switch, the Nexus 9000, and software called ACI, which allows Cisco to compete in a hot up-and-coming market called software defined networking. Cisco paid $863 million to buy Insieme and Wall Street was watching how well it sold. And it has been selling well. But insiders say its sales were at the expense of Cisco’s other products in the Nexus line — products that the MPLS Insieme team were not responsible for. Cisco has cut the cost of the Nexus 9000 so much that customers could get the bigger, faster switch for a bargain compared to the lower-end models. In March, Cisco doubled down on this, announcing that its latest Nexus 9000 would deliver 100G of speed “for 40 gig pricing,” Robbins said. Consequently, with Nexus selling well at discounted prices, overall revenue for the switching unit was down 3%, Cisco reported in May. It was down 4% the previous quarter, too (although it had grown 5% the previous quarter). The ACI software is also selling well — revenue grew 100% and its on a $2 billion annualized run-rate, Robbins told analysts in May — but we’ve heard from multiple people that once customers bought it, they found it too difficult to install and use. 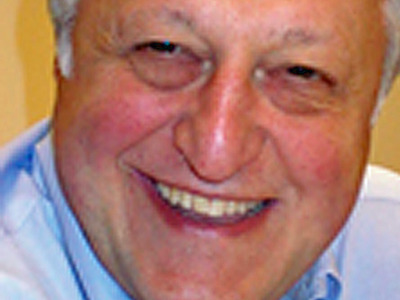 “ACI is too expensive, too complex, and doesn’t solve a real problem. Chuck [Robbins] probably figured this out and put some else in charge to salvage it and didn’t want to deal with the egos any longer,” one former employee told us. Another person told us that some ACI customers had joked that this software was really “hardware-defined-networking” — in other words, not the revolutionary networking software that promises to unseat Cisco in the network industry. Meanwhile, Robbins has now been CEO for about a year and has been systematically putting his own team in place. When MPLS first agreed to step away and become “advisors,” on May 25, Robbins and Chambers stood side-by-side with all four of these engineers in an all-hands meeting to announce the change. The fact that Chambers was standing alongside Robbins at that meeting was hugely significant. At the time, Jiandani had said she’d stay on and become Insieme’s leader, reporting to directly to Robbins. Cisco announced this news to the company. That would have been a big promotion for her. But it also meant that she would no longer report to Chambers. One insider told us she wanted to continue to run Insieme as a separate unit, but Robbins made it clear that as a part of his leadership team, she would held accountable for overall growth of the data center switching Nexus line, not just the Nexus 9000. Instead of taking the job, she joined the others and publicly quit. While Robbins has said he will not do the spin-in thing, there was a rumour that the team was in talks with their favourite patron, John Chambers, about funding them for a new venture. A close source to MPLS says this isn’t true, the team has no plans for a new project together, and Chambers is not becoming an angel investor for them. In the meantime, Robbins now has the full helm of Cisco and we’re hearing that many people inside the company are relieved.